Duke Energy Florida and the City of Orlando are discussing building a solar-plus-storage microgrid that would disconnect from the utility grid in the event of outages and provide power to the city’s Iron Bridge sewage treatment plant. According to a memorandum of understanding (MOU), Duke would build, own and operate the plant. 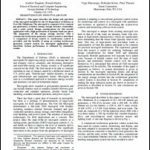 Initial discussions center on construction of a microgrid with 1-3 MW of solar and as much as 5-10 MWh of lithium-ion battery-based energy storage. 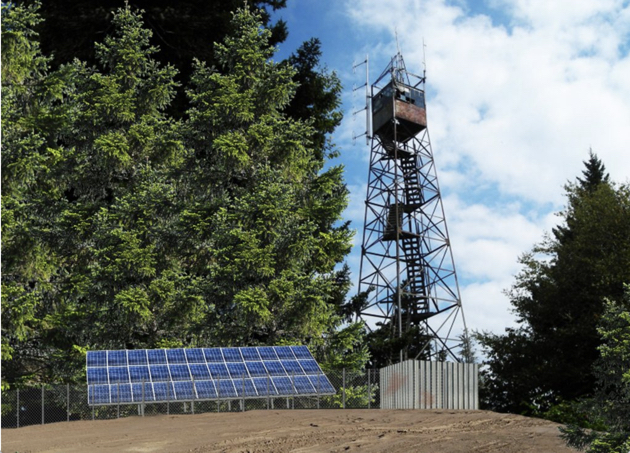 Storing and dispatching power to the grid during normal, day-to-day operations, the solar-plus-storage microgrid would help shave and manage peaks in demand. The battery would also enhance grid stability, reliability and resilience by improving the utility’s ability to manage voltage and frequency, according to the utility. Ana Gibs, Duke Energy Florida senior communications specialist, said it was too early to estimate the project’s cost, or provide any firm details regarding the project’s capacity, design or deal structure. “The MOU allows us to open conversations with the City of Orlando. The next step is to share information between parties and see if we can design a project that is beneficial to both,” Gibs said. The Iron Bridge microgrid would be the first by a Duke Energy regulated utility installed at a sewage, or wastewater, treatment facility. Duke also has proposed a microgrid to serve the western North Carolina town of Hot Springs. The project is currently working its way through state regulatory review. The North Carolina Utilities Commission canceled a public hearing planned for January 23 on the project, deeming it unecessary after receiving no significant opposition to the plan. The next step is an evidentiary hearing before the commission on Feb. 25. Should the Hot Springs microgrid win approval, Duke hopes to have it completed in early 2020. Duke Florida serves 1.8 million customers in the Sunshine State. It doesn’t serve the City of Orlando, but it does serve 371,000 customers in surrounding Orange County and 157,000 in Seminole County, according to Gibs. The utility is on a solar energy acquisition drive. Duke Energy Florida last year announced it would build or acquire 700 MWs of solar power resource capacity across the state through 2022. Management on Jan. 9 announced the completion and commissioning of the 74.9-MW Hamilton Solar Power Plant in Jasper, Florida. Other cities and municipalities have been moving along lines similar to Orlando. The California Energy Commission in mid-2018 awarded Rialto Bioenergy $5 million to demonstrate the value of microgrids at wastewater treatment plants that use anaerobic digesters. The digesters produce biogas, a form of methane, that can then be used as a fuel to power electric generators. The project is intended to serve as a model for possible replication by the 156 other wastewater treatment facilities in California that use anaerobic digesters. The project’s design plans include a 2-MWh battery energy storage system and a 2-MW combined heat and power (CHP) unit. Biogas produced from processing food waste and sewage sludge would fuel the CHP unit. Similar to the Iron Bridge solar-plus-storage microgrid being discussed in Florida, the Rialto microgrid would disconnect from the utility grid and operate autonomously to supply electricity to the wastewater treatment facility during grid outages. In Rialto’s case, the microgrid could run indefinitely given enough waste to fuel the system. 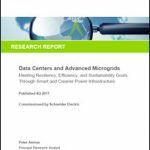 Read more about solar-plus-storage microgrids here on Microgrid Knowledge.